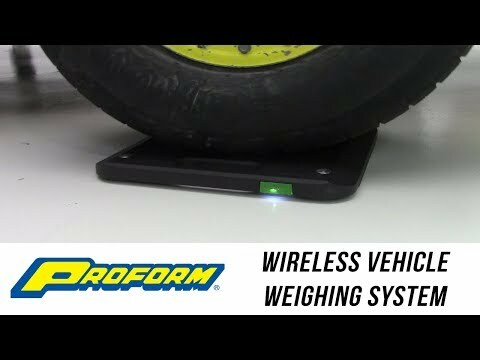 PROFORM's third generation slim wireless vehicle scale includes NEW features! New features include full size 15" x 15" slim aluminum scale pads (1 5/16" thick), drive-up angle for easy setup, live stream data feed via USB cable (included) to computer with free downloadable program for viewing and file exporting, backlit LCD screen and control buttons, and a foam lined hard case with wheels for storage. Standard features include an LCD display with Cross weight, Side/Side weight, and Front/Rear weight in addition to the standard weight and percentage for each wheel and total vehicle weight. The individual scale pads have a 1,750 lb. capacity per pad for a total scale capacity of 7,000 lbs. Scale is accurate to 1/2 of 1%. 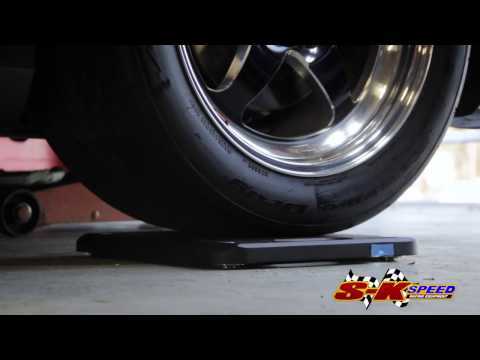 Scale pads are made of die-cast aluminum, and finished in a durable black powder coat. AA batteries included.